The first historical inhabitants in the region were Iberians; Girona is the ancient Gerunda, a city of the Ausetani. Later, the Romans built a citadel there, which was given the name of Gerunda. 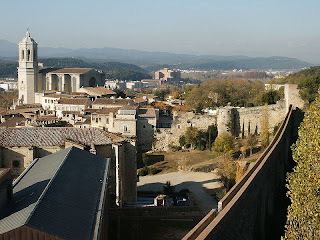 The Visigoths ruled in Girona until it was conquered by the Moors. Finally, Charlemagne reconquered it in 785 and made it one of the fourteen original countships of Catalonia. Thus it was wrested temporarily from the Moors, who were driven out finally in 1015. Wilfred the Hairy incorporated Girona to the countship of Barcelona in 878. 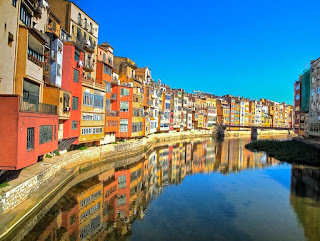 Alfonso I of Aragón declared Girona to be a city in the 11th century. The ancient countship later became a duchy (1351) when King Peter III of Aragon gave the title of Duke to his first-born son, John. In 1414, King Ferdinand I in turn gave the title of Prince of Girona to his first-born son, Alfonso. The title is currently carried by Prince Felipe, Prince of Asturias, the first since the 16th century to do so. The 12th century saw a flourishing of the Jewish community of Girona, with one of the most important Kabbalistic schools in Europe. The Rabbi of Girona, Moshe ben Nahman Gerondi (better known as Nahmanides or Ramban) was appointed Great Rabbi of Catalonia. The history of the Jewish community of Girona ended in 1492, when the Catholic Kings expelled all the Jews from Catalonia. Today, the Jewish ghetto or Call is one of the best preserved in Europe and is a major tourist attraction. 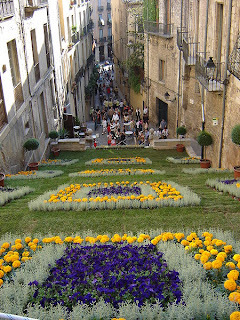 On the north side of the old city is the Montjuïc (or hill of the Jews in medieval Catalan), where an important religious cemetery was located. Today YOU should be sure to visit Pink Saturday and Reading is Fashionable too!!! Amazing pic's wish I was there!!! Lots of history here. Looks like a great place to visit. I am really enjoying this trip. Beautiful photos - I hadn't heard of this town. It definitely seems worth a visit. Travel safely. great shots. 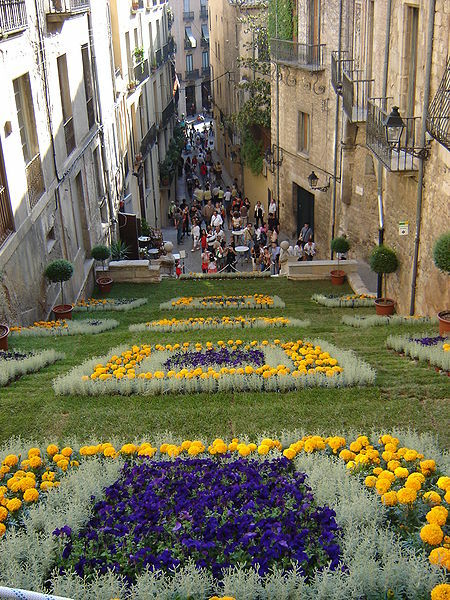 I love the flowers on the slope above the street. Lots to learn here. I am sure it was all fascinating to walk on those streets. I've just gone and enjoyed your virtual tour. And, wow! It was awesome.